Testing: Commissioning, sample making, we have a lot of professional experienced inspectors, able to test your machine quality and performance. Verification: According to the various aspects of machine testing, combined with the experience of engineers, give you the detailed, professional, intuitive conclusion. 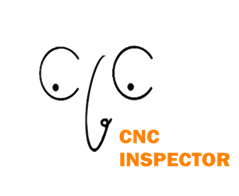 Our company focus on CNC inspection and solution. Including the inspection of CO2 laser machine, fiber laser cutting machine, fiber laser marking machine, woodworking machine, plasma machine, pipe cutting machine and so on. Our company provide a series of inspection services, including component brand, machine assembly, commissioning, sample making and packaging. We have a lot of professional mechanical assembly engineers, electrical engineers, commissioning engineers, packaging inspectors to provide you with inspection services and solutions. We can supervise the quality of the machine and the safety of transport. We can be your inspection department of China, with our familiar of factories in China (especially Jinan City), with our knowledge and experience of different machines; you do not need to speed many hours flying to China and take expensive air tickets at any time know the progress of machine, you can get an impartial professional inspection report. Inspection: Machine surface, mechanical assembly, circuit assembly, we provide the all-round inspection and verification services. Copyright © CNC Inspector Co. All Rights Reserved.